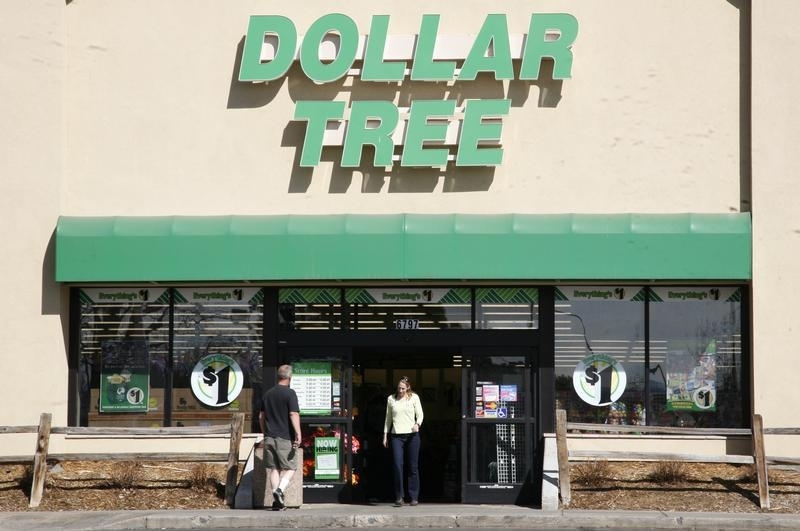 Discount retailer Dollar Tree’s $8.5 billion pounce on rival Family Dollar could spark an M&A price war. The companies have identified more than enough cost savings in their $20 billion union to cover the 23 percent premium to be paid to Carl Icahn and other Family Dollar investors. As a percentage of revenue, though, synergies are relatively low. That may leave room for sector giant Dollar General to lob in a bid. Monday’s deal marks a victory for Icahn, who disclosed a 9.4 percent stake in Family Dollar last month. He had suggested a sale to industry giant Dollar General, but that came to be seen as unlikely after the company’s longtime Chief Executive Rick Dreiling announced he would retire next year. The billionaire activist investor can therefore feel relatively satisfied with Dollar Tree’s cash-and-shares bid. It values Family Dollar at about $1.6 billion more than the company was worth last week. Taxed, capitalized, and discounted to reflect the time value of money, announced synergies of $300 million a year by year three should be worth about $1.9 billion to shareholders today. Dollar Tree’s shares were up more than 4 percent by mid-morning, suggesting investors see some value flowing to the acquirer. The expected synergies of 3 percent of Family Dollar sales are also at the low end of the 2 percent to 10 percent range of a target’s revenue typically achievable in retail mergers. This deal’s low figure may reflect the fact that the two companies stock different goods: Dollar Tree holds prices to $1, while Family Dollar sells some more expensive merchandise. Still, there’s probably room for further savings. Say a buyer could find $500 million of annual savings, or 5 percent of Family Dollar sales. That would justify paying about $87 per share, or roughly double the current premium. So far, Family Dollar’s stock has not breached the agreed offer price. That conforms to the conventional wisdom that Dollar General is out of the running until its new boss has his or her feet firmly under the table. But with Monday’s tie-up poised to create a formidable new competitor, and today’s heady M&A environment rewarding acquirers, the industry leader may yet be tempted to enter the fray. Discount retailer Dollar Tree will buy rival Family Dollar Stores for about $8.5 billion in cash and shares, the companies announced on July 28. The deal came a little over a month after activist investor Carl Icahn announced a 9.4 percent stake in Family Dollar and pushed the company to sell itself. The total consideration of $74.50 per share represents a 23 percent premium to Family Dollar’s closing price on July 25. The companies said they expect the deal, which was approved by both companies’ boards, to generate $300 million a year of cost savings within three years. Family Dollar’s shares rose 21.5 percent in early New York trading. Dollar Tree’s shares rose as much as 10 percent before losing most of those gains, while Dollar General’s fell 1.6 percent.